Involved in a divorce? Elizabeth A. Keech has the expertise you need. 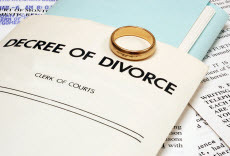 We understand that divorce can be very difficult. There are many issues looming, including what happens to the house. There are generally two choices when it comes to the shared residence - it can be put on the market and the proceeds divvied up, or one party can "buy out" the other. In either case, one or both parties would be wise to get an appraisal of the common real estate. An appraisal for divorce purposes should include a well-established, professional appraisal document that can be supported during a trial. When you order an appraisal from Elizabeth A. Keech, you are assured the best in service with professional courtesy and top notch analysis. Taking into account the special conditions of a divorce situation is somewhat matter-of-fact for us. Elizabeth A. Keech is there when you need an appraisal for the purposes of a divorce or other allocation of assets. Attorneys as well as accountants in Virginia rely on our appraisals when ascertaining real property values for estates, divorces, or other disputes needing a value opinion. We understand their needs and are used to dealing with all parties involved. We provide appraisal documents that meet the requirements of the courts and various agencies. As an attorney working with a divorce, your case's research often necessitates an appraisal to determine market value for the residential real estate involved. A great deal of the time the divorce date differs from the date you ordered the appraisal. We are familiar with the techniques and what it entails to do a retrospective appraisal that has an effective date and Market Value conclusion corresponding to the date of divorce. We work on many divorce appraisals , and we understand that they need to be handled with total professionalism. The ethics provision within the Uniform Standards of Professional Appraisal Practice (USPAP) compels us to keep the highest degree of confidentiality, guaranteeing you the utmost discretion.